It was a lovely day out at the farm today for CSA pickup. 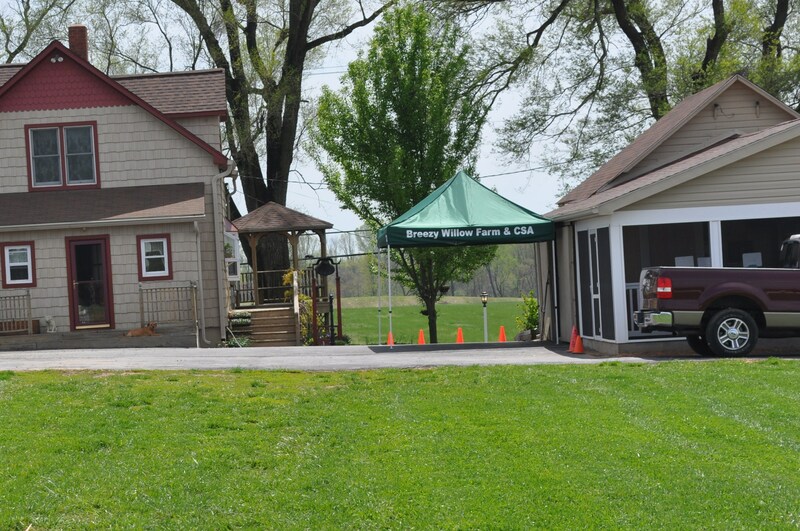 The addition to the farm store building is now our CSA pick up site. The smaller section is the store. Bigger, brighter, and filled with lots of great looking food. 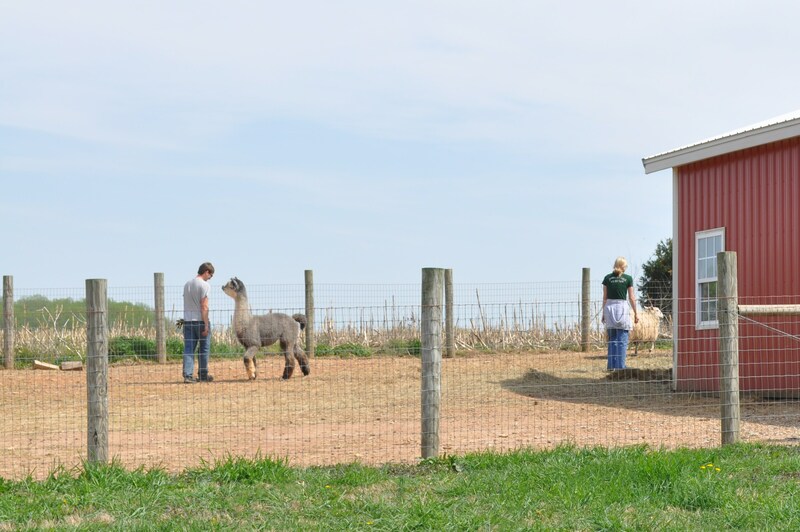 Plus, outside the animals were out sunning themselves and getting attention. What did we get this week? This week a non egg week. We had a choice of applesauce, cherry amaretto jam, or Monterey Jack cheese. I picked applesauce. And, a new bread for me. Already made my light dinner, tuna salad on it. My better half went off to a meeting and I was tired from running around in the sun at the Conservancy all morning, so made a salad and a sandwich. This bread is awesome!!! I also nibbled on two of the radishes. I love fresh radishes dipped in a little seasoned salt. I see radishes in the swap boxes often, and don’t know why people dislike them. I love them, raw or baked or sliced on bread with butter and salt. Eight weeks down, four to go. Breezy Willow continues to have a great mix of veggies. Perfect to pair things for recipes. Posted in CSA, Food, Local Businesses, Locavore and tagged CSA, Food, foodie, local businesses, Locavore. Bookmark the permalink. 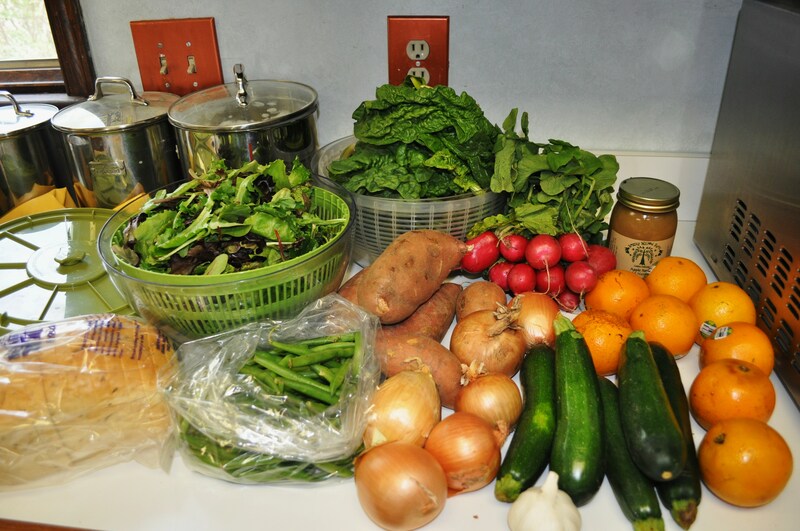 Another week that I’m regretting not having joined the Early Bird CSA! Looks very tasty. 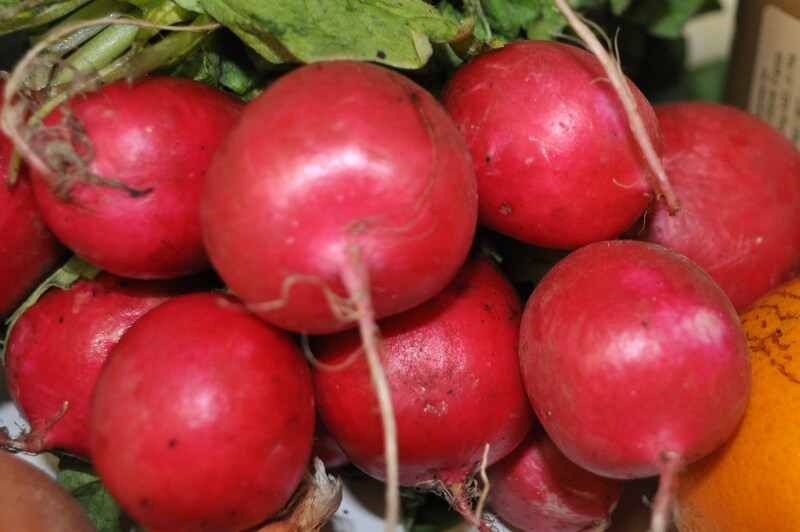 If there are radishes to spare some weeks, they are also good roasted, in a slaw, and with a soy sauce or miso based salad dressing. What are your favorite seasoned salts for dipping? Homemade vegetarian or regular furikake is a fun dip/sprinkle. Some more info may be in the spam filter. Lovely spread! Radishes are one of those love/hate veggies. I’m on the love side as well and one of my favourite ways to enjoy them is to pickle them. I’m so envious of your spinach. It looks so robust. I’m craving spinach crust pizza, but I cannot bring myself to buy wimpy spinach at the store knowing that if I can hold out 3 more weeks I’ll have some in my first CSA pick up. 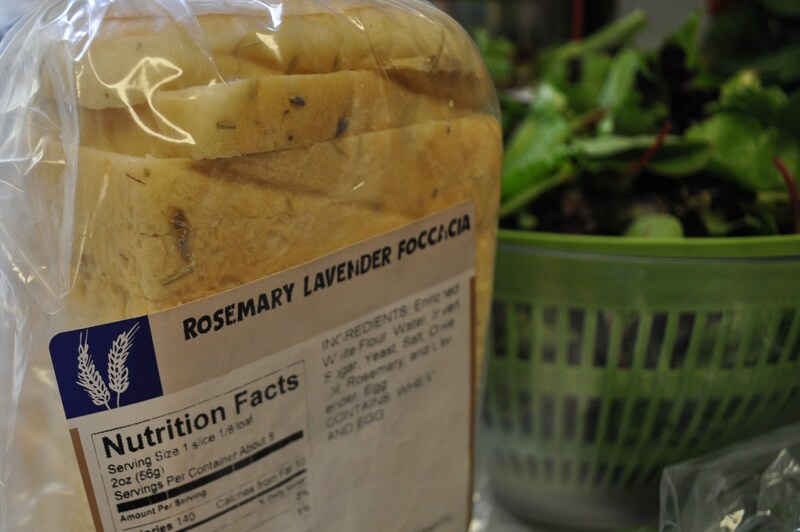 The rosemary lavender bread intrigues me–must investigate if I can find that here.